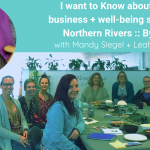 The topic could be about business, well-being, speaking, spirituality, metaphysics, marketing, connecting with customers, using your voice. Our KnowX business + well-being topic this month is Speaking with Confidence. How to find your voice? What it would take to practice speaking up about your needs? Staying in your own personal power when communicating your message? Briefly hear from our host and mentors Mandy Siegel and Leah Kearns about the topic. Stay and hang out to coworkfor another hour if you wish. A small business owner who helps others to grow? This might be through experiencing something, getting to known themselves or guiding them on their journey of change. They might even buy a product from you that changes their life. Now is your chance for you to have your business, well-being and metaphysical or spiritual questions answered when it comes to knowing more about Speaking with Confidence! This includes a snack and drink and a contribution to our community development and amenities. We’ll provide snacks and if you’d like lunch you can BYO. Parking will be available at the location. In booking this event, you agree to photos and video being taken at the event with you present. We may use this footage or images in future marketing. Please contact a host if this is an issue for you. 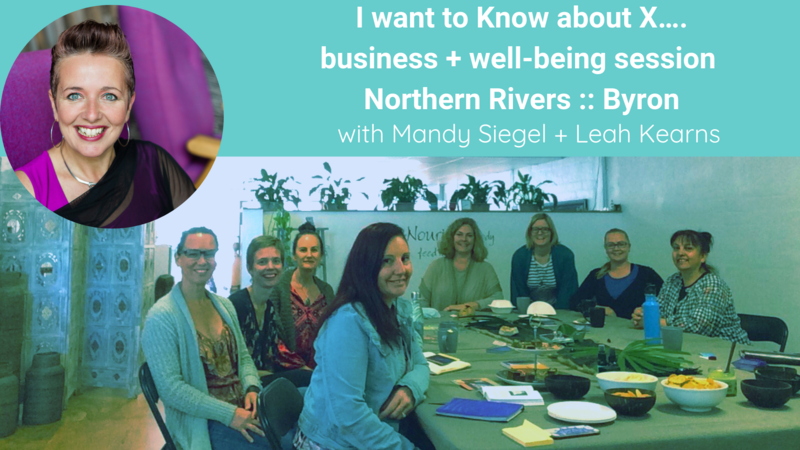 This is a conscious session with Mandy Siegel Communication & Confidence Coach, and Leah Kearns founder of WE-Being. Mandy ’s purpose is to inspire women to speak from the heart, spread their message with joy and confidence and grow their career and business by being authentically YOU! Mandy is a holistic and super creative being. As a singer, performer and presenter with extensive experience in Human Resources, Life Coaching, NLP and Hypnotherapy she is fully equipped with a tonne of knowledge and life experience to help you find your true voice from the inside out. She is convinced that when people speak their true voice and “Sing” in their lives – both literally and metaphorically – they ‘light up’ and in turn ‘light up’ others. That is how she facilitates change in the world. Never before has there been a better time for you to be your true self and SHINE!